VERY Popular, SEE THE VIDEO! 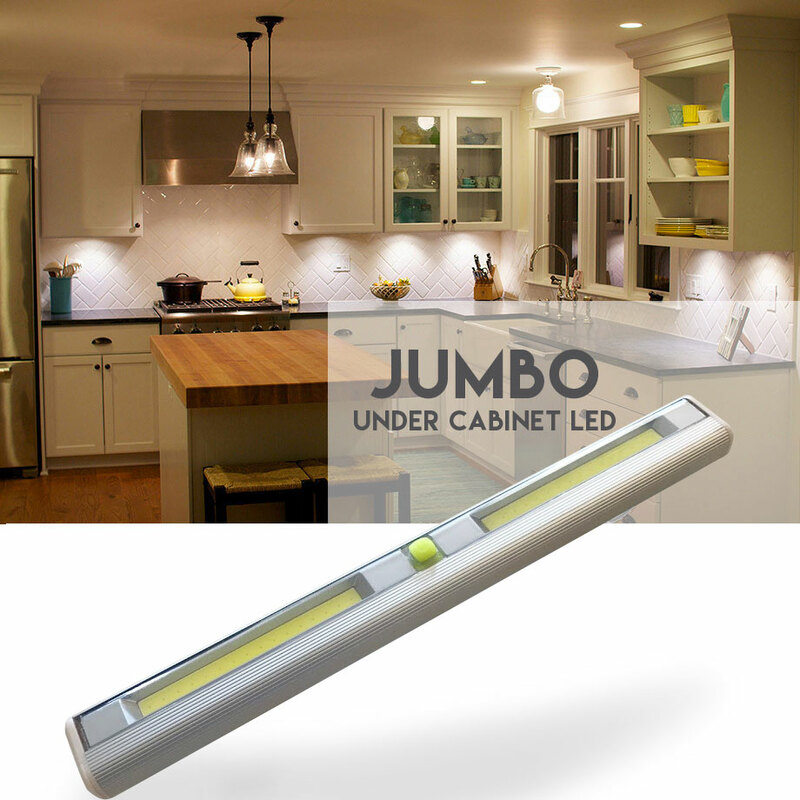 Jumbo Size Wireless Under Cabinet LED Light - Order 6+ for only $4.99 each! SHIPS FREE! This jumbo sized C.O.B. 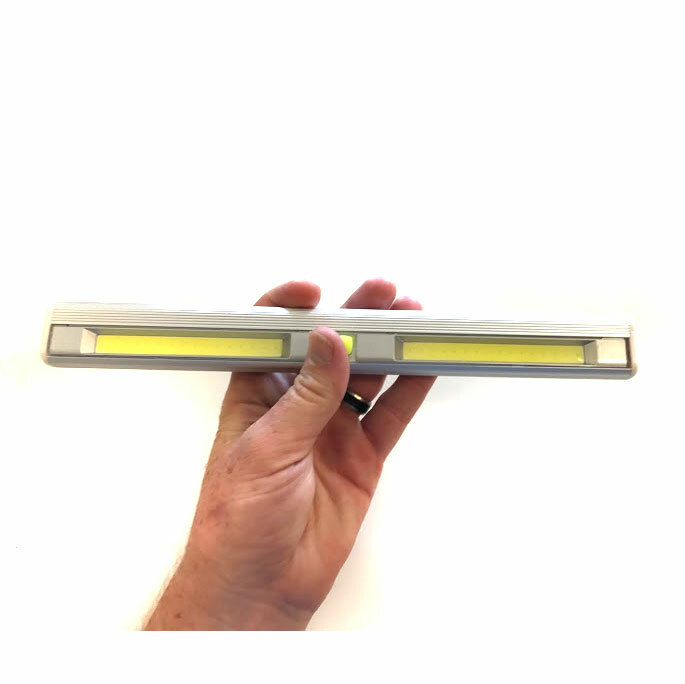 stick up under cabinet LED light conveniently lets you add lots of light wherever things are a little dim! Features 2 large C.O.B. lights (Chip On Board) that will illuminate just about any area of your home or shop. It not only works great under cabinets but under shelves, book cases, in the workshop and just about anywhere else! Use the adhesive pads on the back to stick up permanently or the magnetic back to attach to anything metal. Powered by 2 AAA batteries - included.